Move over pegboard. 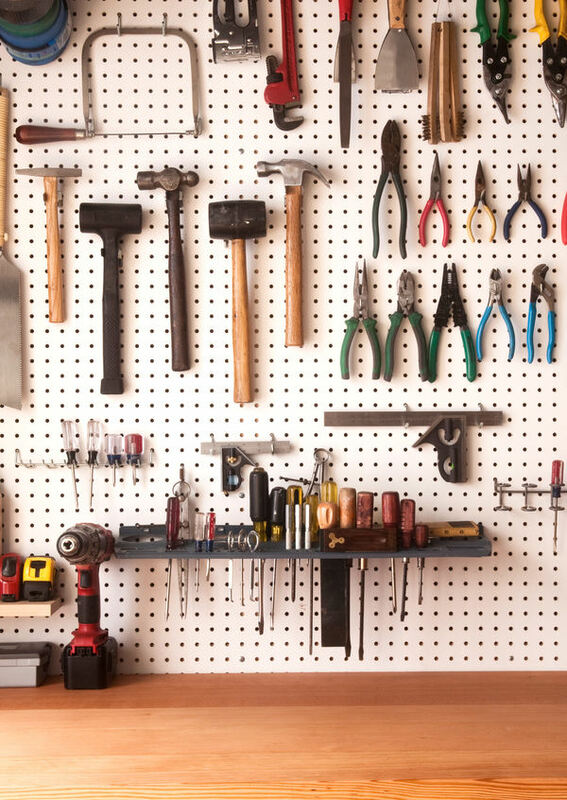 When you've assembled a proper collection of hand tools, the best way to keep them safe, organized, and available within reach is a custom tool wall. Each item gets a designed holder that keeps like pieces together and accessible, allowing you to maximize your storage space. Plus, let's admit it: they also look super cool. A woodworking bench is more than just a table to lay your tools and project parts on. Used well, your bench is an all-in-one, three-dimensional clamping solution that will allow you to hold your work on any of its edges or faces. 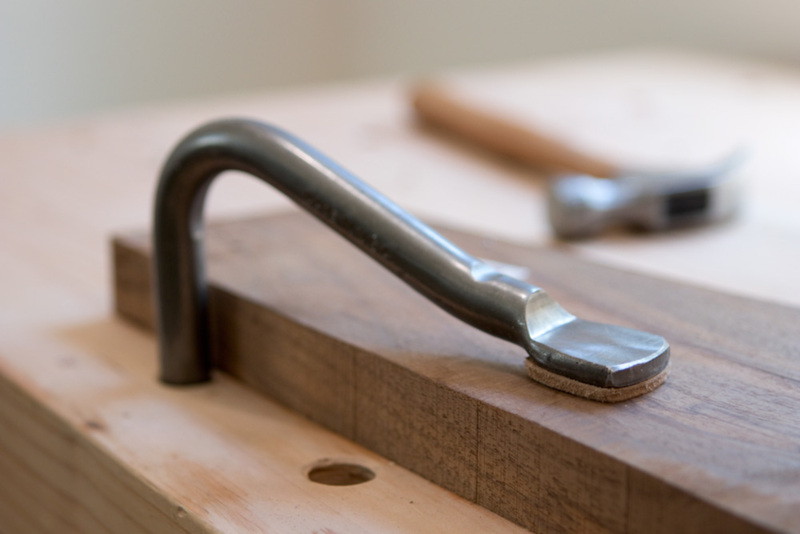 The traditional way to increase the work-holding capability is to place "dog holes" in your bench top, and allowing them to work in tandem with a face or end vise to secure parts of any size. This post is sponsored by the DIYZ® app. 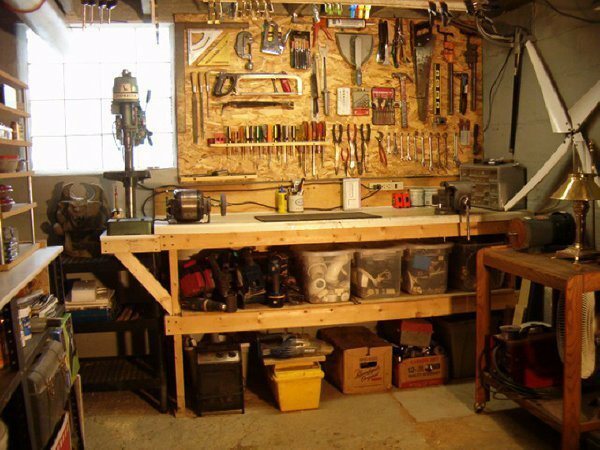 A good sturdy garage workbench is one of the simplest, most useful projects any woodworker can embark upon. 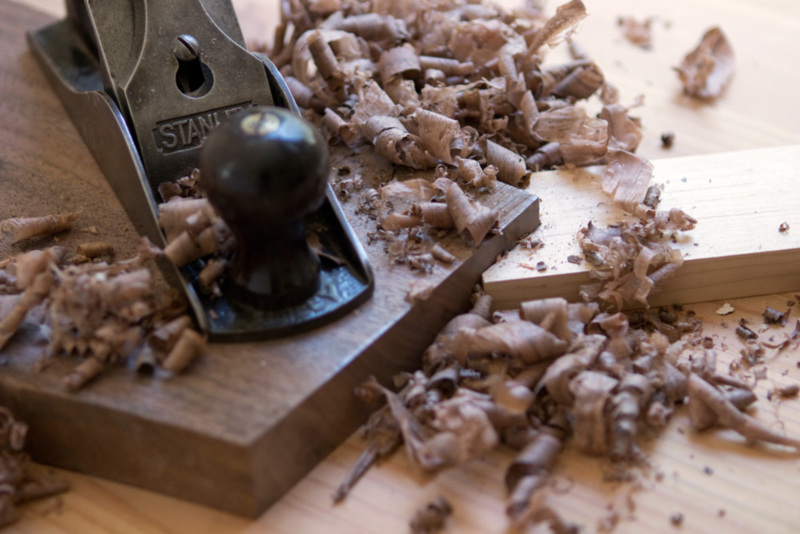 In fact, it's probably the first project every woodworker should embark up. And yet it tends to go by the wayside. You see people building remarkably complicated pieces on rickety, unimpressive workbenches. 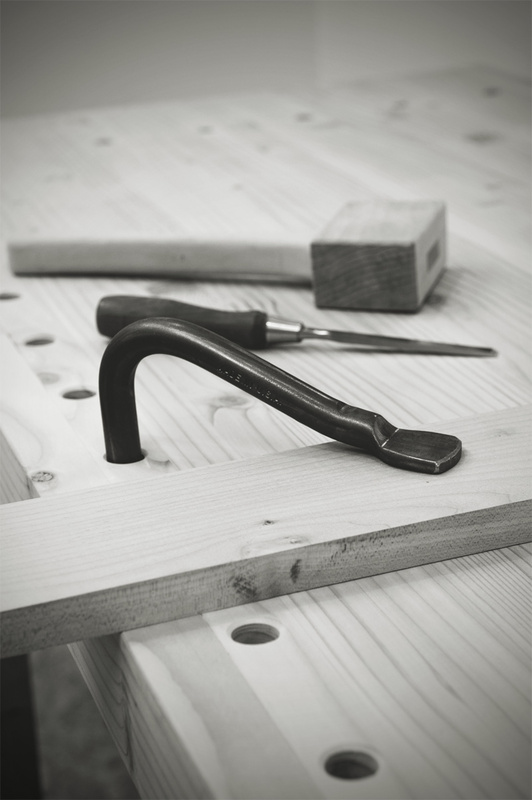 A mortise and tenon is an extremely sturdy and strong way to join wooden furniture. 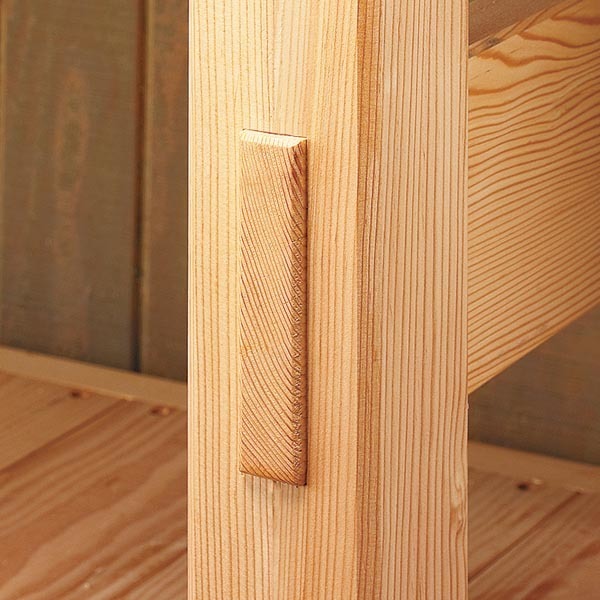 A recess is created in one member (mortise) that allows a protruding tongue from the other (tenon) to fit tightly inside. 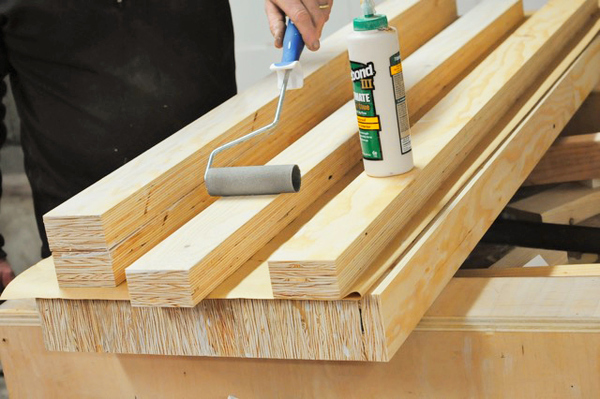 There's no better way to assemble table bases, chairs, benches, and even frames. Except, mortises can take a serious amount of work to cut. Unless you have a dedicated mortising machine, you're in for lots of time with a chisel and mallet, especially on large mortises like the one shown above. 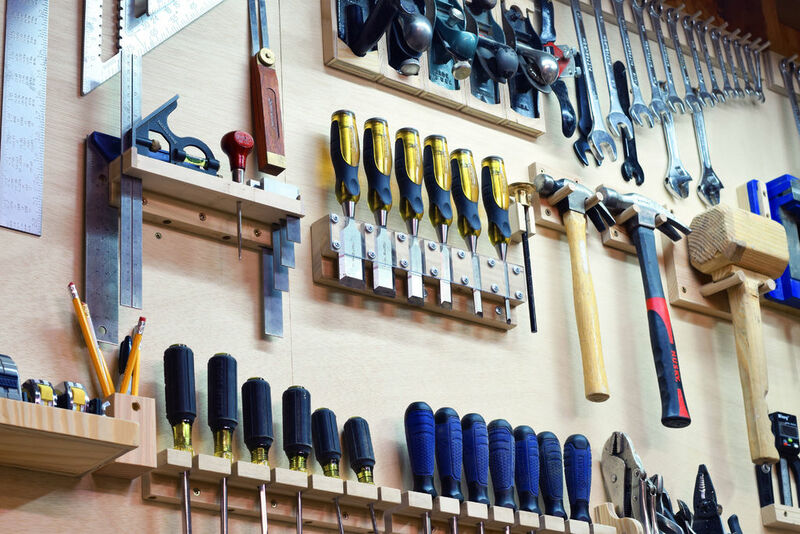 I chat with lots of ManMakers who would love to get started with bigger, more in-depth projects, but lack a dedicated place to work on them and the storage space for all the tools they'd like to acquire. So, here's a perfect project for them: a small-footprint workbench that's sturdy enough to do real work, and includes lots of built-in storage and plenty of accessories. 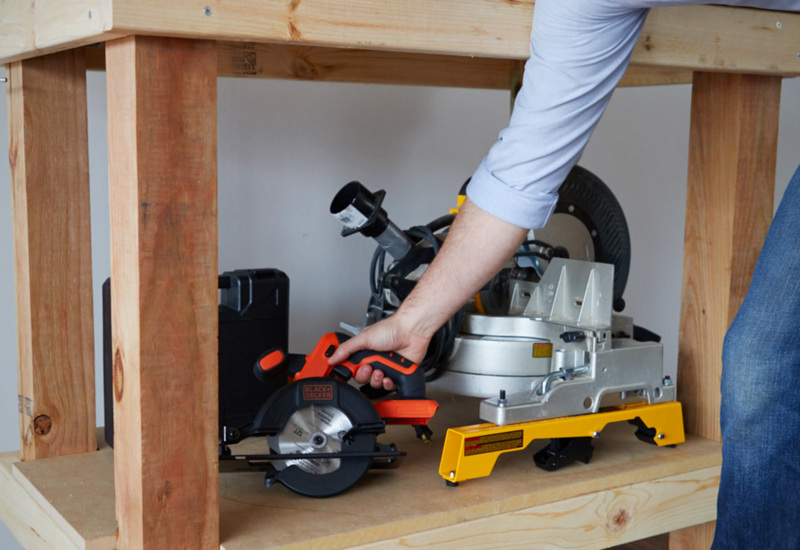 Is This the Perfect Workbench for the DIYer? 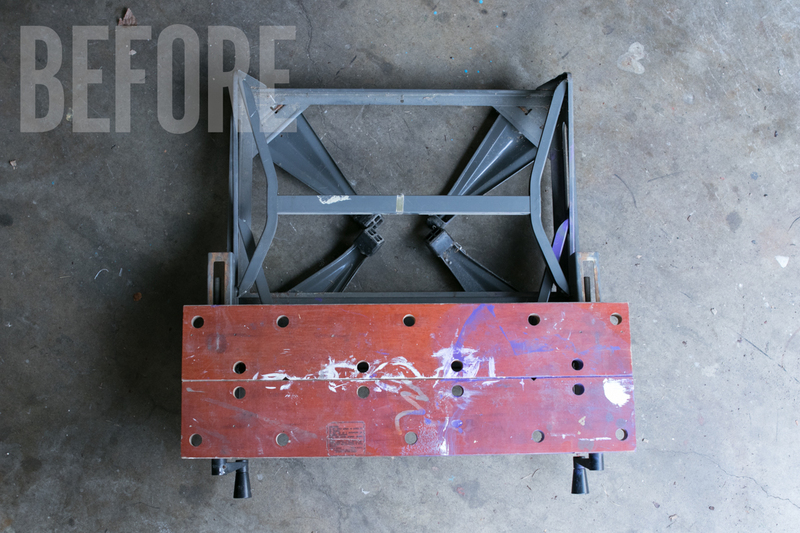 Troy spent a few weeks researching and comparing workbench designs, and he thinks he's done it. 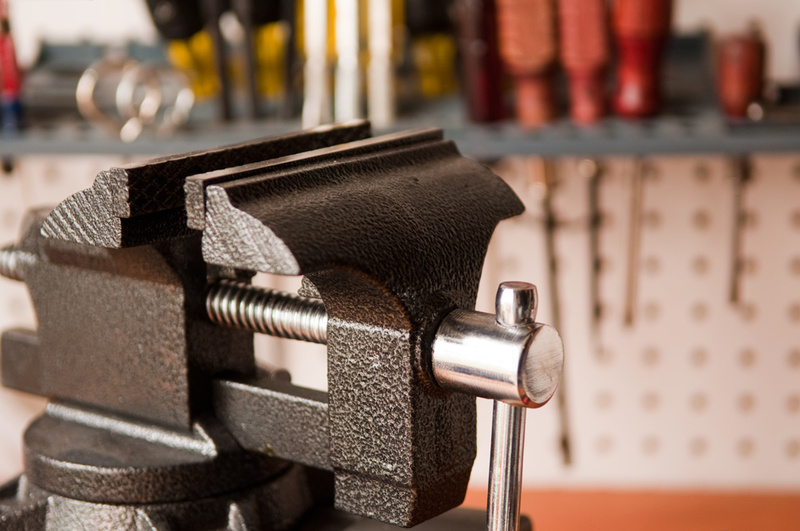 This is, as he calls it, the perfect garage workbench. I don't think I've mentioned this on ManMade, but earlier this year, my wife and I bought our first (and hopefully last) home. It was a big deal, both emotionally and financially, and looking in one of the wildest and fastest changing real estate climates in the country, we got pretty lucky that our first offer was accepted. It's a solid home that we can afford, and it sits in a close-in neighborhood that's super liveable and great for walking, commuting by bike, and public transit. I totally love it. And...of course, when you own your own home, you get to mess with it. No more landlords to tell you what to do, no more wasting time and money investing in customizing a place that you'll only be in for a little while. And of course, as a DIY blogger, I had my sights set on the two most important spaces in the house: the garage and the basement. ManMade reader Alan recently bought his first home, going from a one-bedroom apartment in a busy urban neighborhood to a three-bedroom house just south of downtown Portland, gaining lots of space and a new sense of quiet. On the top of his list for the new spot? The same as many a ManMade reader: a new place to work on his own household, creative, and DIY projects. First step - a new workbench in his new garage to provide a solid surface to bang around, and keep his tools organized. The heart of a workshop is the bench. It's the base where everything is made so it need to be solid and easy to use. 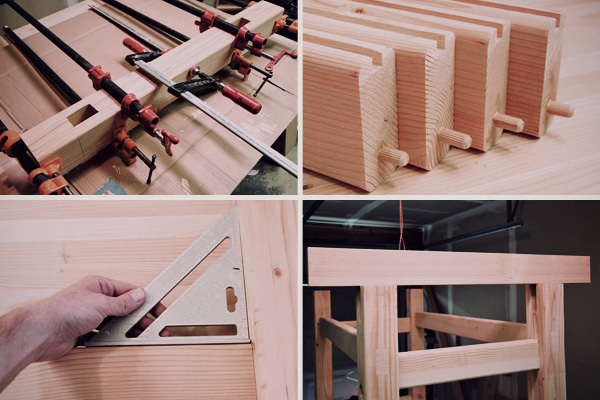 Here's a great tutorial on making a simple bench with plenty of function. Hopefully, the new calendar has you motivated to take on some new projects. And we all know the key to working quickly, efficiently, and creatively is: organization. Keeping things where they need to be allows your work surface to stay clean and makes your tools easy to find. Plus, when well organized, you'll find you can actually fit a lot more gear and materials into a small space. This summer was a busy one for my family; we had a new baby (our second, a boy), and moved into a new house that we gutted and remodeled. At the same time. 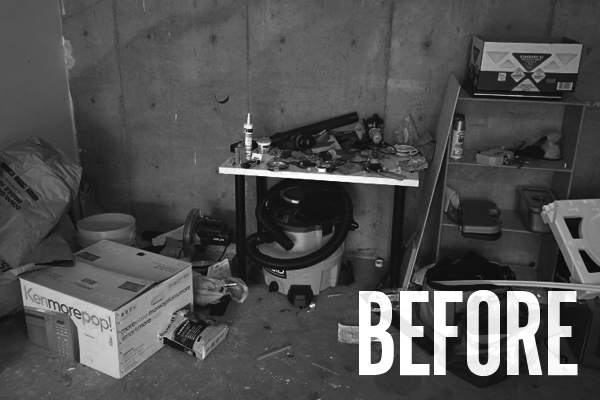 Needless to say, it was a bit crazy, and one side-effect of that was that all my tools got completely disorganized. Plus the new basement had no good storage for tools, save an ancient, ramshackle work bench that was barely standing upright. Enough of that, I thought, and made a plan to fix it. Read on to watch my video and see how easy it is to improve your own workbench situation. No matter what you make, you've gotta have a place to do it. And while you're dining room table might work for light projects, I say any serious maker, crafter, or artist needs a proper workbench.